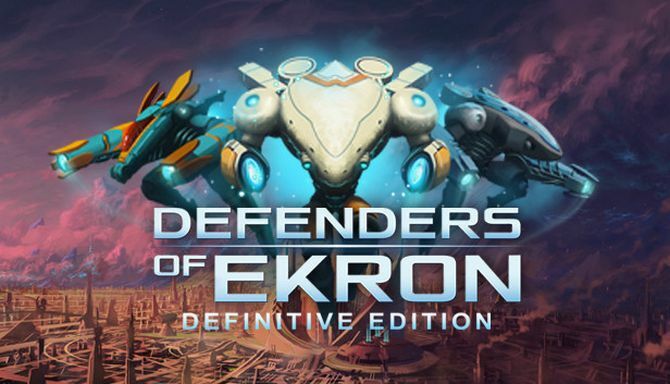 Defenders of Ekron – Definitive Edition is developed and published by In Vitro Games. It was released in 7 Aug, 2018. 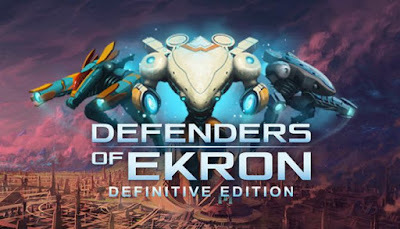 SynopsisDefenders of Ekron is an Adventure\/Shmup that mixes the classic action of a shoot’em up and the exploration of an adventure game, including dungeons and a unique sci-fi experience. You are the pilot of an Anakim, the most powerful and advanced mechs of the Technocratic Republic of Ekron. Those advanced pieces of high-tech possess a unique ability called Isvar\u00e1 that allows them to absorb the energy of their environment and unleash devastating attacks. The Definitive Edition features new difficulty settings, several improvements to the general gameplay for a more balanced experience such as additional checkpoints, and a brand-new Boss Rush Mode, where you challenge all of the 13 main bosses in a row with no health regeneration. It is also included the 8-bit version of the video game called Invaders of Ekron, which shows a retro vertical shoot’em up retro style.FeaturesA strong sci-fi narrative experience with an innovative mixture between the “adventure” and “shoot’em up” genres.